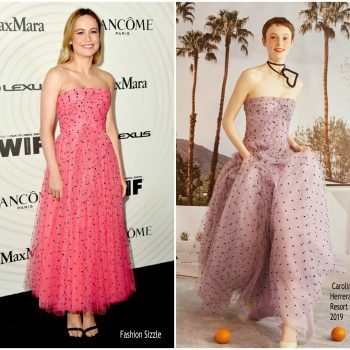 R Rachel Brosnahan was in attendance at the 2019 Cricics Choice Awards on Sunday (January 13) in Santa Monica, California. 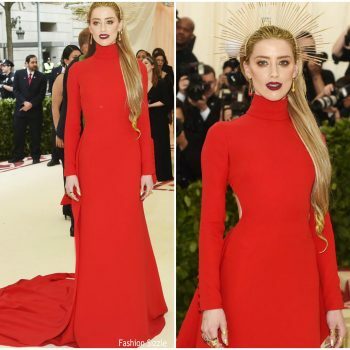 She wore a white Carolina Herrera suit . 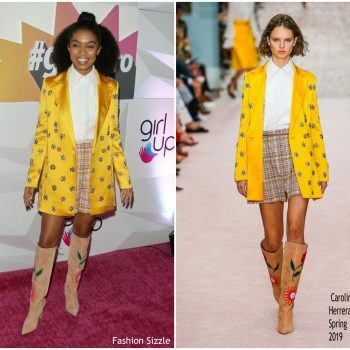 Yara Shahidi was in attendance at the #girlhero Award Luncheon on Sunday (October 14) in Beverly Hills, California. 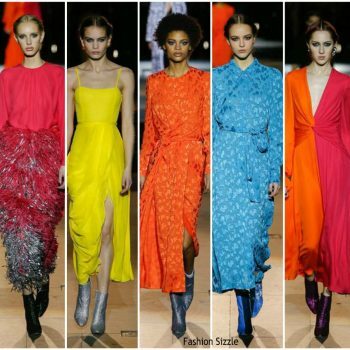 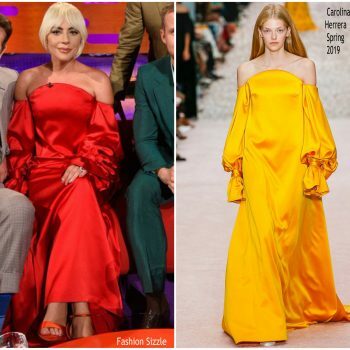 She is wearing Carolina Herrera Spring 2019 design. 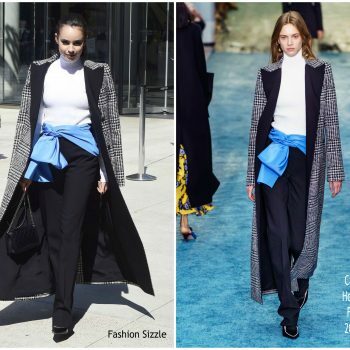 Rachel Brosnahan was in attendance at the Tiffany & Co. Celebration of the 2018 Tiffany Blue Book Collection on Tuesday (October 9) in New York City. 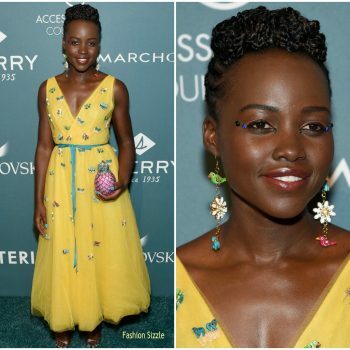 She wore a Carolina Herrera embroidered yellow gown. 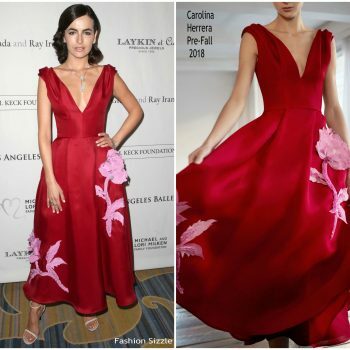 Camilla Belle was in attendance at Caruso’s Palisades Village Opening Gala on Thursday (September 20) in Pacific Palisades, California. 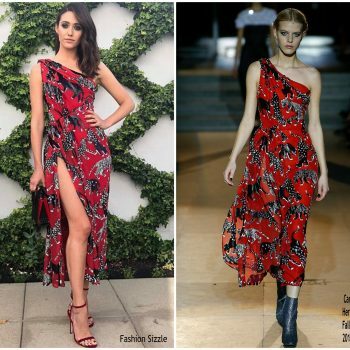 She wore a Carolina Herrera Resort 2019 gown. 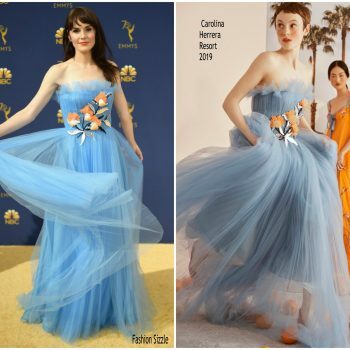 Michelle Dockery wore a Carolina Herrera Resort 2019 blue embroidered gown to the 2018 Emmy Awards. 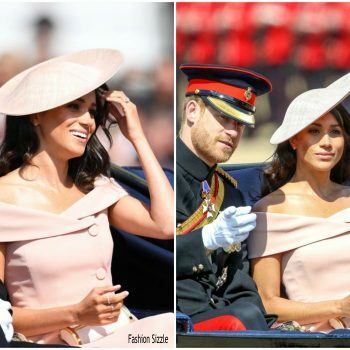 She accessorized with Sophia Webster heels & Harry Winston jewelry. 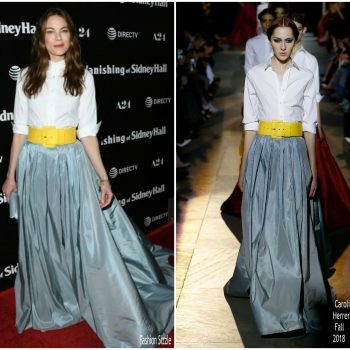 Mandy Moore attended the screening ‘Darkest Minds’ on Thursday (July 26) in Hollywood, California. 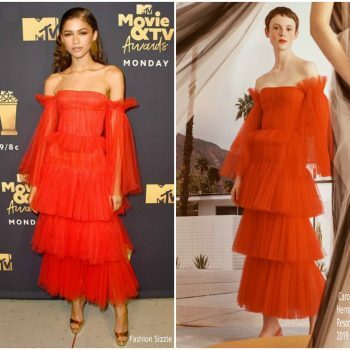 She wore a Carolina Herrera Resort 2019 tiered dress styled with a Chanel bag . 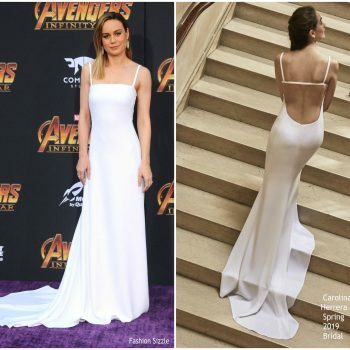 Brie Larson attended the Women In Film 2018 Crystal + Lucy Awards on Wednesday (June 13) in Beverly Hills, California. 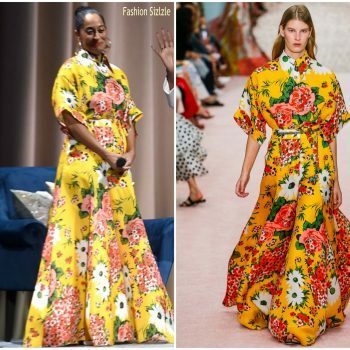 She wore a pink Carolina Herrera Resort 2019 dress. 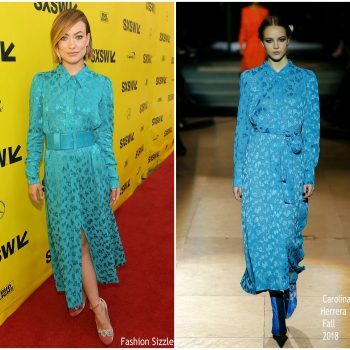 Olivia Wilde attended the premiere of her film A Vigilante during the 2018 SXSW Film Festival on Saturday afternoon (March 10) at the Paramount Theatre in Austin, Texas. 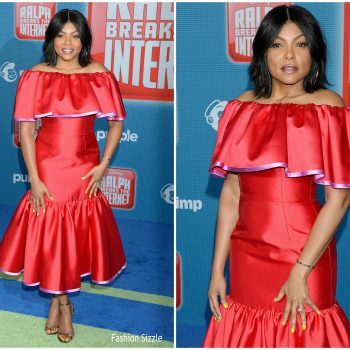 She wore a a Carolina Herrera Fall 2018 dress, Chloe Gosselin shoes, and Jennifer Fisher jewelry. 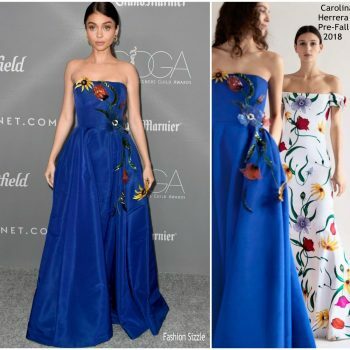 Sarah Hyland was in attendance at the Costume Designers Guild Awards held at The Beverly Hilton Hotel on Tuesday (February 20) in California. 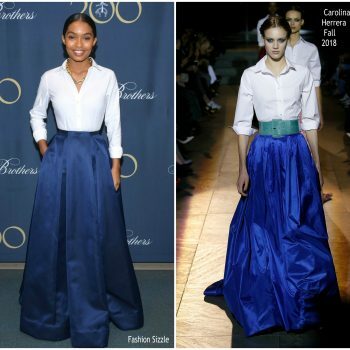 She wore a blue Carolina Herrera Pre-Fall 2018 bustier gown with floral embellishments . 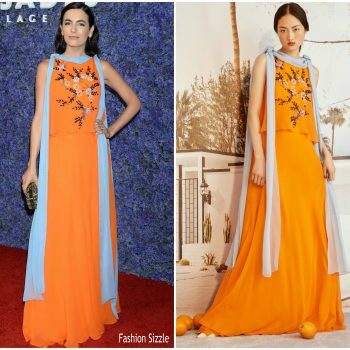 Rachel Brosnahan attended the 2018 amfAR Gala New York on Wednesday (February 7). 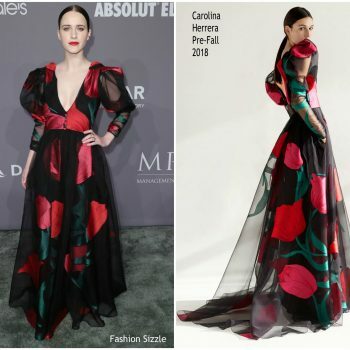 She wore a floral black and red Carolina Herrera Pre-Fall 2018 black tulip gown. 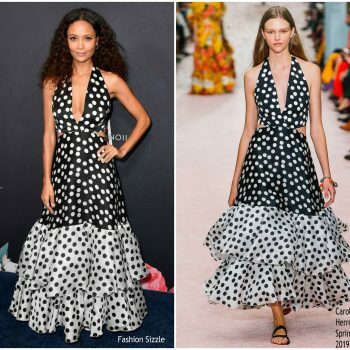 Karlie Kloss attended the Carolina Herrera fragrance launch, celebrating the new ‘Good Girl’ fragrance, on Thursday (January 25) in London, England. 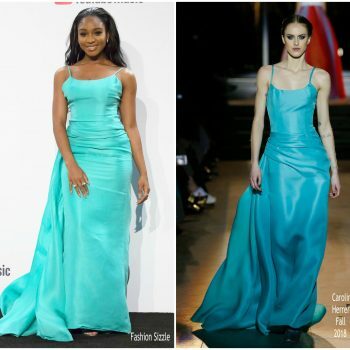 She is wearing a Carolina Herrera Spring 2016 midi dress styled with black pumps. 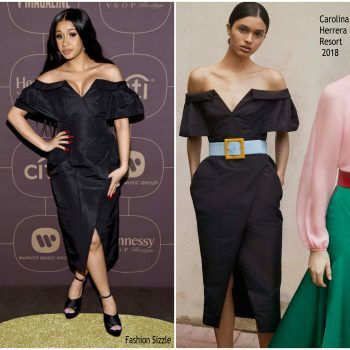 Cardi B attended the Warner Music Group Pre-Grammy Party on Thursday (January 25) in New York City. 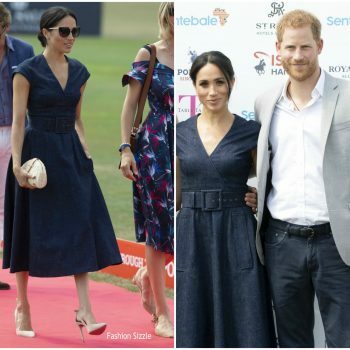 She wore a black Carolina Herrera Resort 2018 dress. 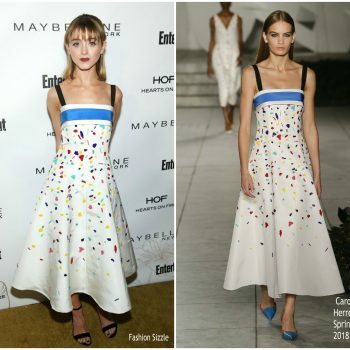 Natalia Dyer attended the The Entertainment Weekly hosts celebration honoring nominees for The Screen Actors Guild Awards held on January 20, 2018 in Los Angeles, California. 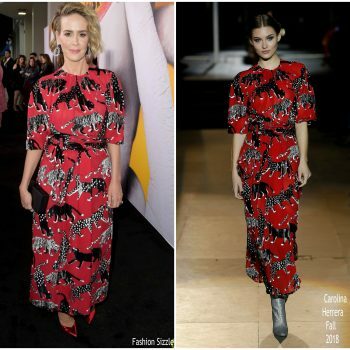 She wore a Carolina Herrera​ Spring 2018​ printed dress .